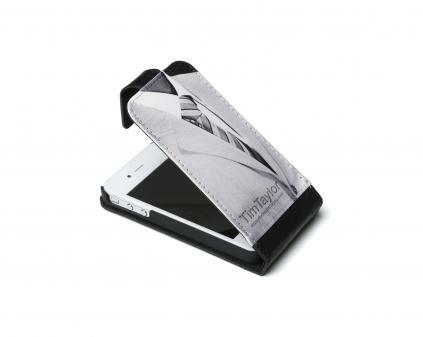 Our executive iPhone 4/4S Wallets have a large branding area on the front. The wallet is made of durable PU and has a black hard plastic holder fixed to the inside of the wallet to hold the phone securely in place. Complete with a cut out for the camera lens and a magnetic fastening to keep the wallet closed.